ECDD provides technical information on accessibility standards to government, non-governmental organisations, universities and the private sector. 12 cities in the country have been assessed so far, based on the ‘Guide to Accessible Ethiopia’. According to WHO there are an estimated 15 million persons with disabilities in Ethiopia, representing 17.6 per cent of the population. 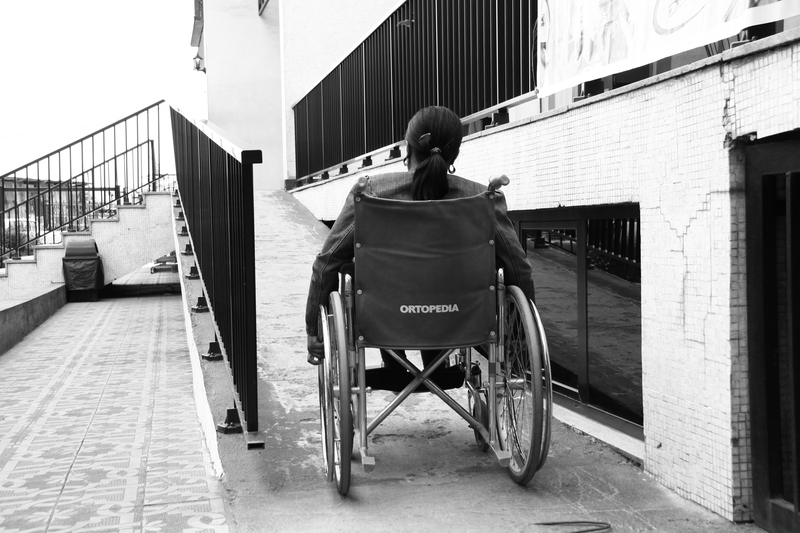 For many, the inaccessibility of built environments is a major obstacle to participating actively in society. ECDD is partnering with Light for the World Austria to provide technical information on accessibility standards to government, non-governmental organisations, universities and the private sector. Persons with disabilities were trained to undertake audits and survey the accessibility of hotels, restaurants, schools and other public facilities in 12 towns of Ethiopia. A ‘Guide to Accessible Ethiopia’ has been produced, printed and distributed. Locally acceptable standards were developed based upon international standards and in consultation with architects, urban planners, and representatives of organisations of persons with disabilities. Those standards were subsequently adopted by the national government as directives to support the Federal Building Proclamation. Local governments shared costs for accessibility modifications. More than 700 institutions providing services in 12 Ethiopian towns were audited. The guide will be uploaded on various websites and databases so that clients can access it easily. The Lonely Planet has expressed interest in the guide. Facebook is one of the social media platforms to which the guide will be publicised.